Can you give a brief overview of your role at Masimo? I’m currently responsible for the Global UDI & Master Product Data initiatives here at Masimo. This is a rapidly growing area within the medical device arena and presents its’ own unique challenges. For example, one specific change was the Global Unique Device Identification Database (GUDID), which is “a database administered by the FDA that will serve as a reference catalog for every device with an identifier.” During FDA GUDID implementation, Masimo recognized the strategic importance of developing an in-house program to manage our data. And, as more and more countries, regions and trading partners are requesting more and more data, this was the right move for us. After the initial panic at meeting GUDID deadlines, we have been able to take a step back and review and analyze the programs we implemented. We have evaluated how they performed and found there were many lessons learned in both implementation and the vision of building a long-term, sustainable system/process. I’m looking to share our results for others to learn from and hopefully avoid the mistakes we made AND to leverage the areas where we have been successful. This will provide a framework for others to build productive long-term Master Product Data programs. Can you describe your experience towards CMS or ELS establishment? Any insight for beginners in this process? Neither of these systems are widely used for MDM; however, there are some excellent systems in the industry that can be used for management or transacting data. For Masimo, we are a heavily vertically integrated company, so we preferred building an internal system within our Agile PLM environment to maintain complete control of our data. Can you explain the Single Source of Truth? 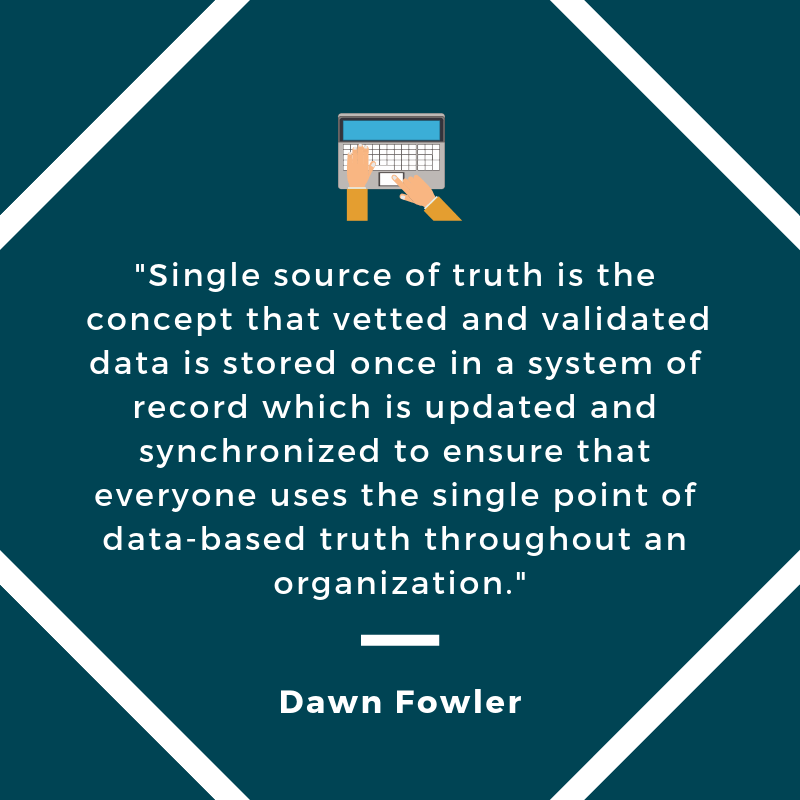 Single source of truth is the concept that vetted and validated data is stored once in a system of record which is updated and synchronized to ensure that everyone uses the single point of data-based truth throughout an organization. Single source of truth (SSOT) is a key component of a successful Master Product Data program. What are 1-3 things you hope attendees will take away from your presentation? Learn more about the upcoming Q1 9th Annual Medical Device & Diagnostic Labeling Conference on April 29-30 in Chicago. Reserve your spot today!